'The Smithfield61' 61 Vintage Designer Cast Iron Clawfoot Bateau Bathtubs from Penhaglion. 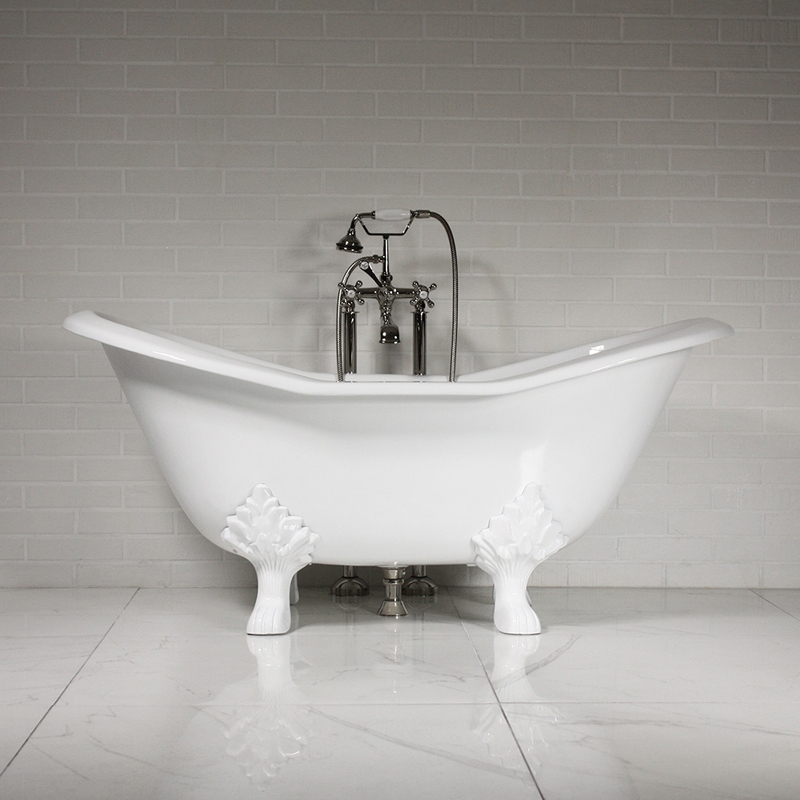 'The Smithfield61' 61" double slipper shape enameled cast iron clawfoot bathtub with cast iron Empire feet. We use a very high quality exterior paint that is very strong and will retain its' finish for a lifetime.